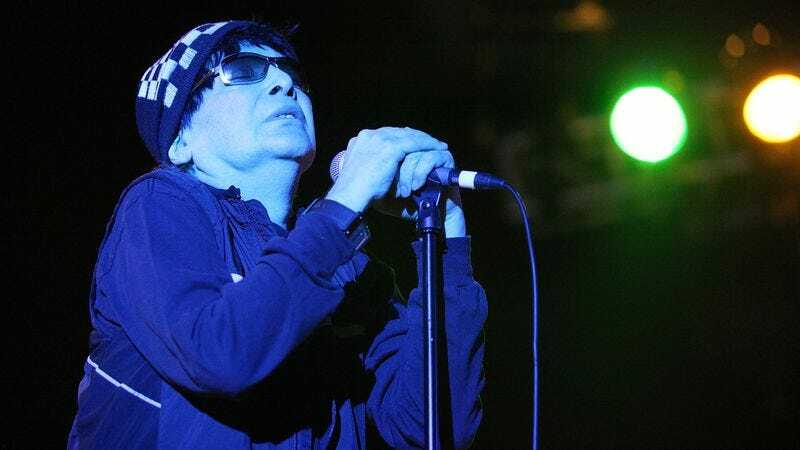 As confirmed by a post on Henry Rollins’ official website, punk pioneer and Suicide singer Alan Vega has died. According to a statement from his family, he died “peacefully in his sleep” last night. Vega was 78. Born Boruch Alan Bermowitz in Brooklyn in 1938, the details of Vega’s early life were fairly mysterious until relatively recently. Older interviews listed his birth year as 1948 and suggested he had Catholic and Puero Rican heritage, but in an interview with The Jewish Chronicle, Vega explained that the misinformation was simply intended to further the mystique surrounding him and his art. He studied fine art and physics at Brooklyn College in the ‘50s and was a member of an underground artists collective, but he decided to give music a try after seeing an especially impactful Stooges concert in 1969. From there, Vega formed the minimalist, electronic-based protopunk band Suicide, with Vega on vocals and Martin Rev backing him with what Rolling Stone describes as “a hypnotic swirl of…pulsing, rudimentary synthesizer and cheap drum machines.” Suicide’s live shows became known for Vega’s dramatic, confrontational stage presence (which you can get a sense of in some videos). Still, the band quickly became widely influential, with Rolling Stone noting that Bruce Springsteen was an early champion of Suicide’s music. Over the years, Suicide released a handful of studio and live albums, including the group’s self-titled debut in 1977, 1992’s Why Be Blue, and 2002’s American Supreme. Vega himself also released a bunch of solo albums, including Collision Drive, Deuce Avenue, and Just A Million Dreams. Vega had a stroke in 2012, resulting in him limiting his musical performances in favor of traditional visual art like painting. Vega is survived by his wife and son.